Last Sunday I finished off a solid week of training with a group run. 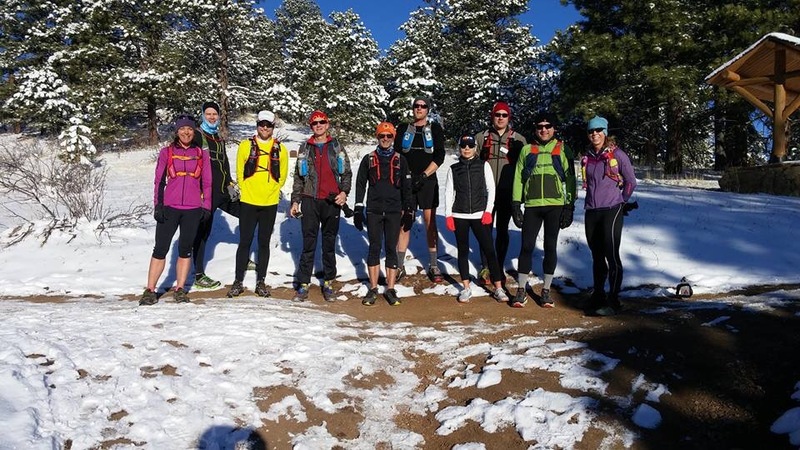 I met the Denver Trail Runners group at the Elk Meadow park trailhead in Evergreen. The snow was fresh and the sun was out! 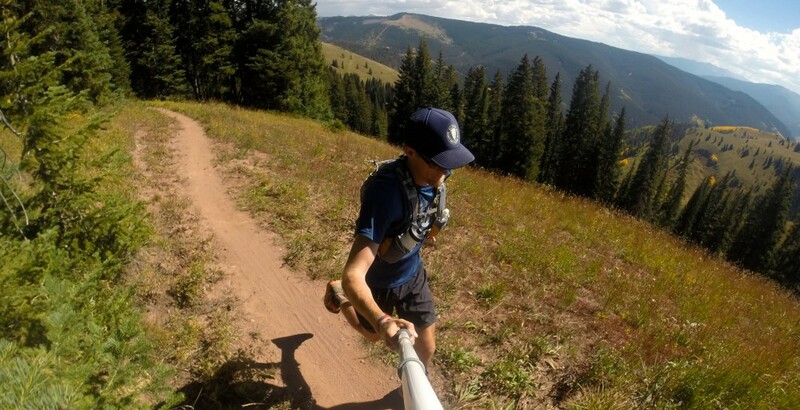 My legs were tired and my neck was still burnt from yesterday’s long run in Boulder. We started at 8am and I was the only one out of about 10 that wore shorts but, it warned up fast! 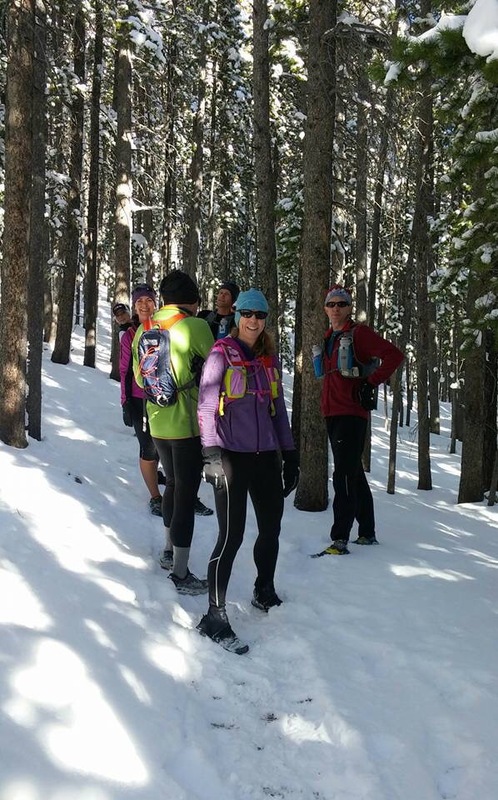 We went up Bergen peak and did a solid 10 mile loop in the snow. It was a stunning bluebird day with excellent views from the top. We could see Pikes Peak all the way down by the springs perfectly. I love meeting strangers on group runs who are just as into trail running as I am and at different stages of training or racing. 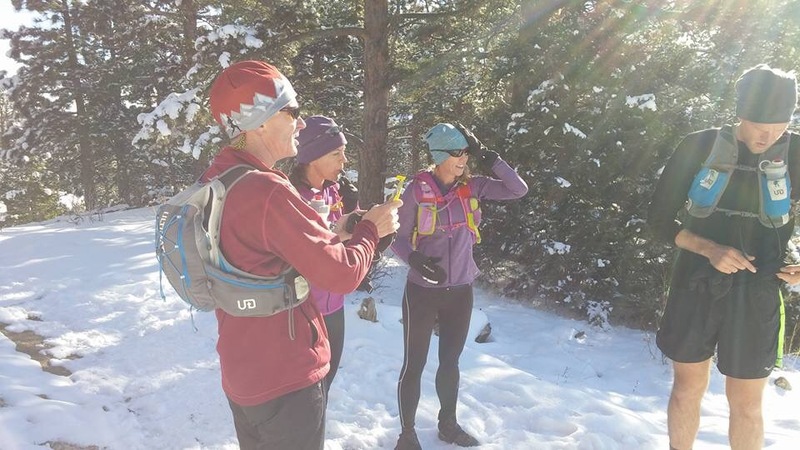 The run groups in Colorado are always fun and relaxed as well as a great place to meet new friends.